Hello and welcome to the second episode of Coexisting with Nonhuman Animals. This episode, Catcha Cray, a cruel and unusual arcade game where you catch living Lobsters with a claw, New Zealanders commonly call Spiny Lobsters "Cray fish". The Catcha Cray machine is a modified Skill Tester machine, where you steer a smooth claw to grab your prize, and drop it down a chute, so you can take it out of the machine through a door. Except, in "Catcha Cray", the claw goes into a glass lobster tank, with 6 lobsters (or "crayfish") inside. Crayfish prices vary throughout New Zealand. According to a few websites, In Auckland, a low price might be 70 New Zealand dollars per kilo, up to about 180 New Zealand dollars per kilo at Skycity, atop the Skytower. Catcha Cray offers a slim chance of getting a whole Crayfish, which could weigh up to 3KG's, for just $3. A note about the first audio clip, the word "kaimoana" is from the Maori Language, meaning "sea food", kai means food, moana means sea. In the Campbell Live clip I'll play next, SAFE is included. SAFE is like PETA, focusing on welfare campaigns, yet is described as Animal Rights in the clip. The SPCA, who mostly run Animal Shelters are also mentioned. The SPCA spokesperson is talking in front of a fishing boat, presumably at a harbour somewhere. Just behind the spokesperson, dead fish will be unloaded off boats. Consider this while listening to the clip, neither SAFE or the SPCA have any problem with crayfish being caught and eaten. They are both upset about Catcha Cray because it makes a game out of the animal. I personally wish both SPCA and SAFE would speak outright against the catching, killing and eating of the Crayfish, not just how its kept before its death. 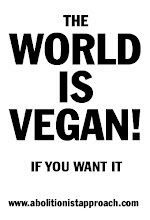 I dont think that veganism should be seen as "too radical" to promote, as if it would scare away mainstream New Zealand. To be upset about Catcha Cray, but to be fine about eating Crayfish in any other situation, I think thats wrong. Crayfish should be left alone to live their lives, period. Why should we assume the treatment before death, the animal's "welfare",to be more important than the animals life, its RIGHT to live? This is probably what I find most upsetting of all about these Catcha Cray machines. That most people who have commented online seem to be upset by the machine itself, but not about the crayfish itself. If we could understand animals, we would realise they want to live, if we claim to speak for the animals, why would the animals ask that we kill them in a way thats possibly a tiny bit "nicer"? They would ask not to die in the first place! Theres a lot of work involved, taking an animal and rendering it into a byproduct called "meat". Do people want to pretend otherwise, by keeping living animals raised for flesh hidden away from the customer? Do they want to pretend the animal had a long, healthy life, before dying of natural causes, surrounded by friends and family? There have been comments along the lines of "who cares, its just a crayfish". The weird thing is , I agree with them in some sense, the animals in the Catcha Cray machines are no different to the same animals, the same crayfish people eat worldwide. If you care about the animals in a Catcha Cray machine, then why not care about all animals? SAFE has listed all Auckland bars that host Catcha Cray machines. Five bars, Naval & Family and The Kingslander, Globe Bar, Thoroughbred Sports Bar and the Finnegan Irish bar have removed their Catcha Cray machines after complaints. There are three listed Catcha Cray machines left, at The Backyard Bar, The Albion, and Happy Days. I feel the problem is that we are catching crayfish in the first place. We could very easily leave them alone, to live out their natural lives. Complaining about how they are treated before we then eat them, has no affect. I do like covering these stories, because its an example of animal abuse happening in my own country, New Zealand. If you'd like to contact me, send an email to jaywontdart@gmail.com, j a y w o n t d a r t @ gmail.com, I'd appreciate your ideas. Thank you for getting to the crux of the matter... not killing the Crays at all! But making a "game" of it? Surely this should be embarassing for anyone partaking in such foolishness.